Wine-lover and a third-generation owner at Fossheim, Svein Garmo, along with his daughters, offer genuine Norwegian country warmth with a focus on delicious cuisine and an active outdoor lifestyle. 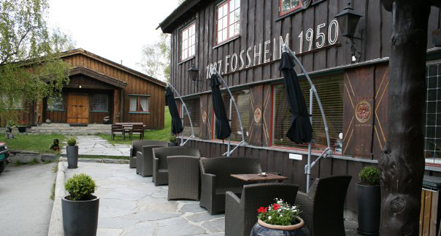 Fossheim and Lom are located near the gateway of the Jotunheimen National Park where cross-country-skiing, hiking, peak ascents, glacier crossing, climbs up Galdhøpiggen, and rafting are available at guests' disposal. Fossheim Turisthotell, a charter member of Historic Hotels Worldwide since 2012, dates back to 1897. 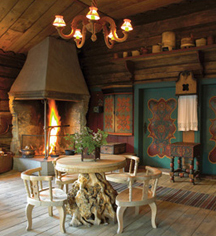 The property is also known for its Gaukstadstugu, one of the best preserved timbered houses from the 17th century in Norway. Payment: All forms of payment are accepted. Payment is required at time of booking. Visa, MasterCard, Amex, Diners Club, and Maestro are accepted. A gem hidden snuggled at the foot of towering snow peaks and the majestic cliffs of Lom, Fossheim Turisthotell is a charming third-generation family owned historic hotel proud of its cultural heritage and longstanding values of hospitality. Learn more about the History of Fossheim Turisthotell .